The team of the 2018 ICC Cricket World Cup Qualifier, as chosen by the official judging panel chaired by Ian Bishop. The big-hitting Trinidadian outperformed Chris Gayle, his more illustrious opening partner, and demonstrated he has more to his game than just fence-clearing, getting his head down and batting responsibly when the situation required it. Successive half-centuries against Zimbabwe and in the winner-takes-all clash with Scotland were vital to the Windies cause. 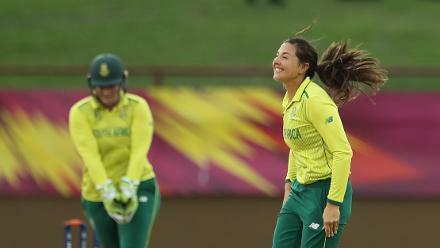 Despite failing to reach three figures, Lewis finished as the highest-scoring opener in the competition and brought the consistency that his team's top order has been lacking in recent times. Scotland's captain looked in good touch throughout the tournament and was the bedrock of his side's batting unit. After scoring just 2 in his first knock against Afghanistan, Coetzer held his nerve as wickets fell around him in run chases against Hong Kong (41*) and Nepal (88*), and chipped in with 39 and 43 versus Zimbabwe and UAE respectively. He then hit a superb 70-ball 61 in a losing cause against Ireland before missing out in the decisive defeat to Windies. Taylor had been some way short of his best form since returning to international cricket late last year after a three-year spell with Nottinghamshire in English county cricket, but he was superb in this tournament, finishing as the leading run-scorer. The 32-year-old opened his account with an even hundred in a thumping win over Nepal, scored a brilliant run-a-ball 89 in a low-scoring thriller against Afghanistan and deserved to be on the winning side for his 138 from 124 deliveries in a narrow loss to the Windies. Zimbabwe will be delighted to have their leading ODI centurion back. The Jamaican's numbers don't necessarily leap off the page, and his tournament strike rate of 73 is pedestrian by modern standards, but Samuels showed great maturity, toughing it out when his side needed him to, most notably when stabilising the Windies with a patient 51 from 98 balls in their do-or-die encounter with Scotland. The 37-year-old's innings of 86 against Zimbabwe was more in keeping with the stylish strokeplay we've come to recognise over the years, while his post-match masterclass with Papua New Guinea's players was one of the more heartwarming sights of the tournament. Nabi drew on his wealth of experience to play a vital role in Afghanistan's qualification. He was extremely consistent with the bat, with five 30-plus scores from the middle order and a best of 92 in the defeat to Scotland. 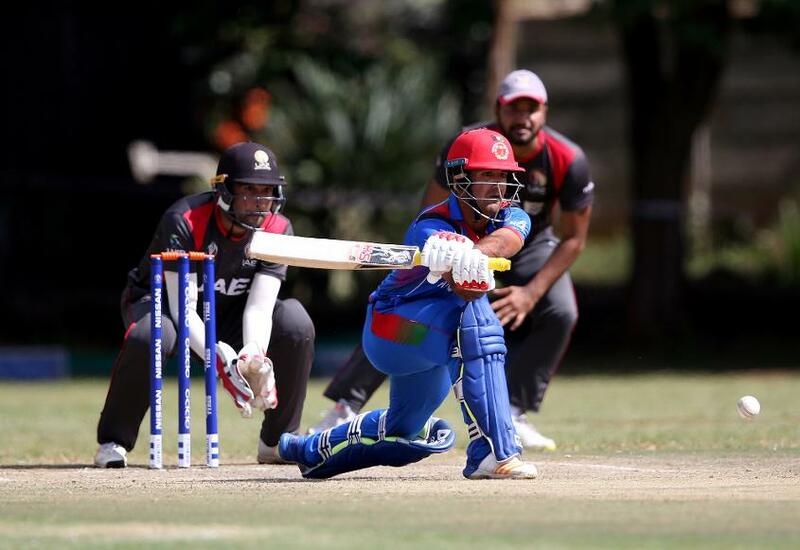 The 33-year-old rarely lets his side down with the ball, keeping the run rate in check and taking regular wickets with his pacy off-spin, with a best haul of 4/33 in the victory over Nepal which set the tone for Afghanistan for the rest of the tournament. He finished off the competition in style, smashing Chris Gayle for three successive sixes to lift the trophy. Named the Player of the Tournament, and it's hard to argue given his consistent, box-office excellence throughout the competition. Judged Player of the Match on no fewer than three occasions, Raza lit up the tournament with a sparkling century against Nepal in Zimbabwe's tournament opener, and hit two half-centuries against Afghanistan and Ireland respectively. He was hugely effective with the ball too, taking three wickets in three consecutive matches, and showed off some exceptional fielding along the way. The home fans didn't get to see their country qualify as they would have dearly loved to, but Raza provided them with such long-lasting memories nonetheless. The diminutive southpaw pulled off some heroics for his country in this tournament, hitting three half-centuries at a healthy run rate of 89 and helping to reinvigorate Afghanistan after their wayward start. He opened the campaign with 67 against Scotland, and struck a second half-century in the victory over Nepal, but it was his innings of 63* from 64 balls in the must-win fixture versus UAE that was the pick of the bunch. At 54/5 in pursuit of 178, the Afghans' World Cup dream appeared over, but Najibullah smacked a cool-as-you-like half-century to keep the bandwagon rolling. Holder came into this competition with a huge amount of pressure on his shoulders. The Windies were expected to qualify for next year's main event, and anything else would have been considered a huge failure. CWCQ: Jason Holder bring up his 50 with a towering six! The captain stepped up with some talismanic displays, his 4/35 in a tight victory over Zimbabwe being perhaps the best example. He also showed off his clean-hitting ability, coming agonisingly close to a maiden ODI century, finishing on 99* against Papua New Guinea. Aged 26, Sharif has been a key part of Scotland limited-overs sides for the best part of seven years now, but in this tournament he raised his game another notch, bowling superbly with the new ball, regularly making early breakthroughs, and conceding runs at less than four an over. His haul of 5/33 in the dramatic tie with Zimbabwe was his first ODI five-for, and he was similarly impressive in the narrow defeat to the Windies, dismissing Chris Gayle with a peach of a delivery to raise hopes of an upset that the Scots very nearly pulled off. The towering paceman brings a huge amount of experience to the Irish attack and he showed that, at the age of 33, he remains a constant threat. He collected four wickets apiece in the victories over Scotland and UAE, extracting bounce out of pitches where others could not. Alongside Tim Murtagh, who took 13 wickets of his own, Rankin was part of a new-ball attack that was as potent as any in the tournament. The Afghan mystery spinner narrowly missed out to Raza in being named the Player of the Tournament after an exceptionally consistent series of bowling displays. His economy rate of 3.58 reveals the hold he had on opposition batsmen, and it is worth considering that many of his overs were bowled in the Powerplay, as he took the new ball in each of Afghanistan's matches. At 16, the sky is the limit for this immensely gifted young bowler. Remember the name. The Afghan leggie just misses out on the final XI, despite taking 17 wickets and in the process becoming the fastest to 100 in the history of ODI cricket, beating Mitchell Starc's previous record. He began the tournament slowly by his own high standards but came into his own with 5/41 against UAE and then 3/40 in the winner-takes-all fixture versus Ireland.